Delta Air Lines starting on May 23, 2019 will add daily Boston – Lisbon service. The new route will be operated with Boeing 757-200 equipment. 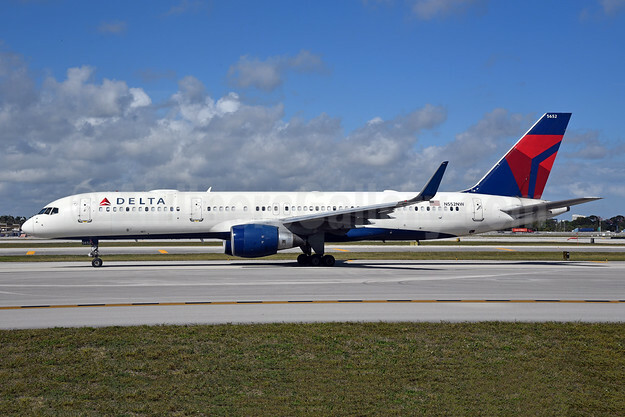 Delta is giving Boston customers even more trans-Atlantic choices beginning next summer when the airline inaugurates new nonstop service to Lisbon, Portugal on May 23, 2019. LIS at 10:45 a.m. BOS at 1:15 p.m. The onboard Delta experience will be on Boeing 757-200 aircraft equipped with 20 seats in Delta Premium Select, 29 seats Delta Comfort+ and 150 seats in the Main Cabin. The onboard experience includes access to Wi-Fi, free personal in-flight seatback entertainment screens and power ports in every seat. Seasonal service that operated between Lisbon and Delta’s Atlanta hub during summer 2018 will not return in 2019. Top Copyright Photo: Delta Air Lines Boeing 757-251 WL N552NW (msn 26499) FLL (Bruce Drum). Image: 104825. This entry was posted in Delta Air Lines and tagged Boeing 757-251 WL, Boston, Delta Air Lines, Lisbon, msn 26499, N552NW on October 1, 2018 by Bruce Drum.